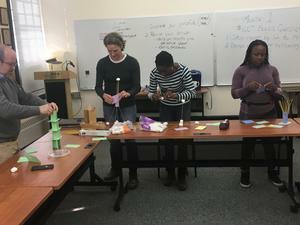 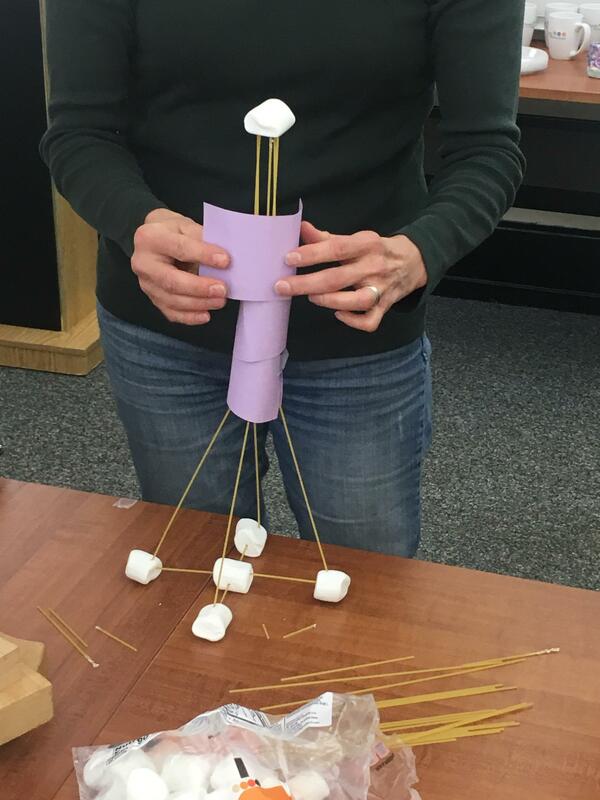 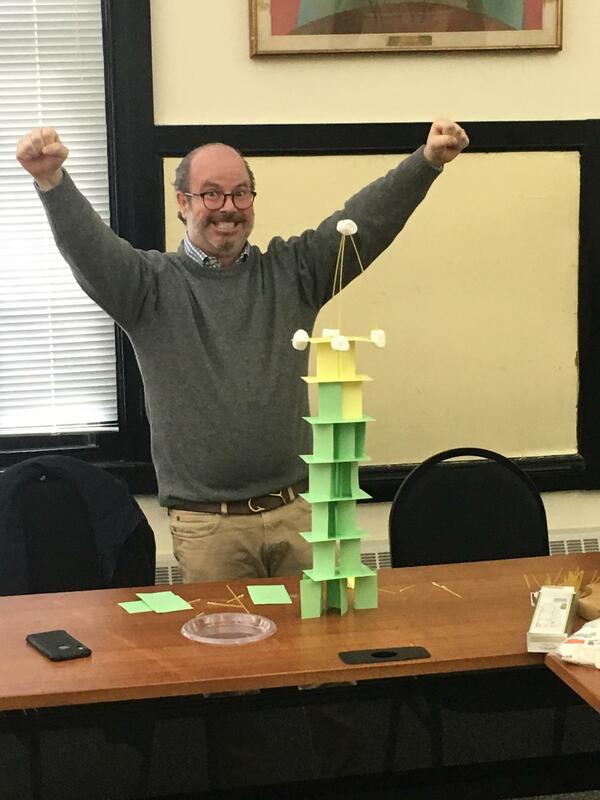 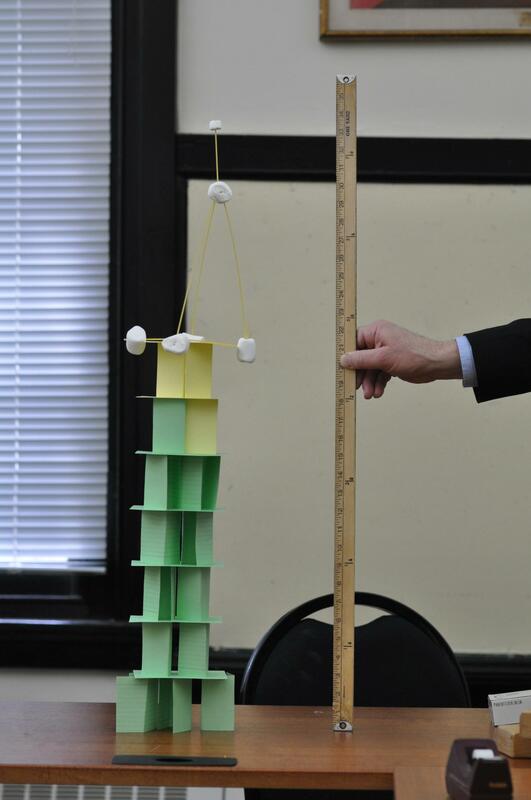 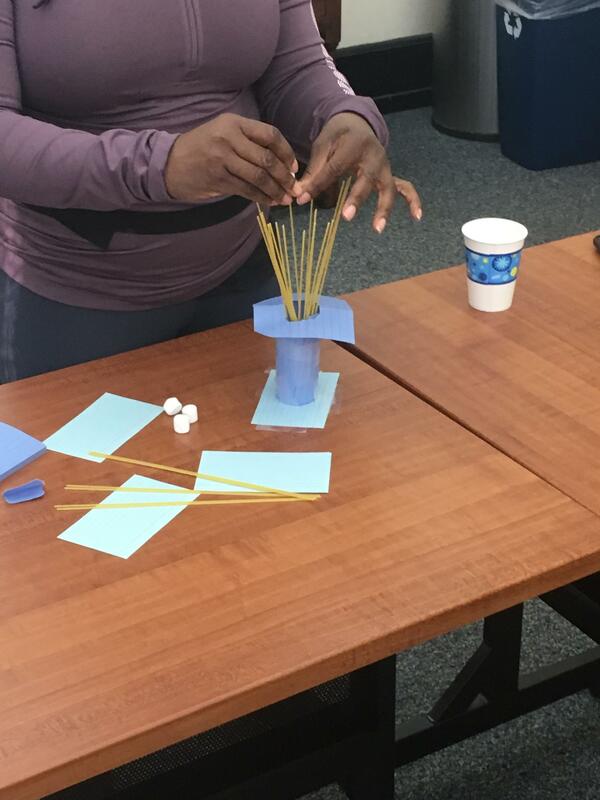 Parents were challenged to elevate a marshmallow as high as they could using only paper, dried spaghetti, tape, and marshmallows at our most recent First Thursday Coffee. 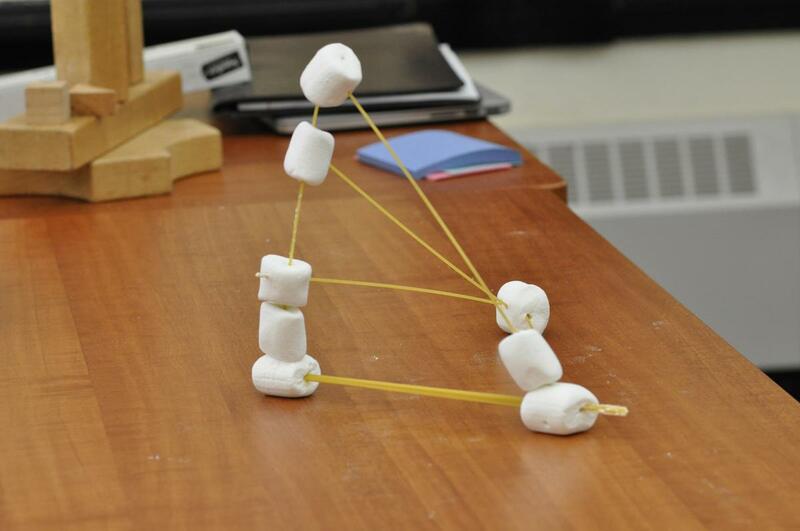 The winning design was a few inches shy of three feet! 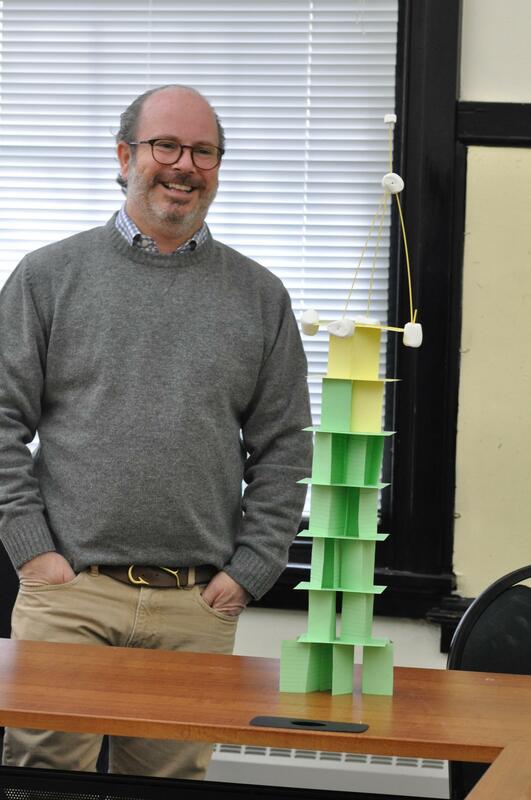 This challenge gave participating parents a taste of the sort of fun and exciting context for linear and weight measurement, tensile strength and structural integrity exploration, that will make real a world of scientific experimentation and mathematics for students in our Makerspace this coming fall and where the sky is the limit when it comes to creativity.